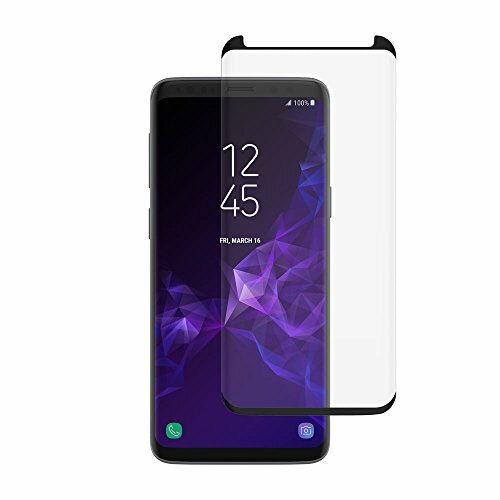 To extend the life of your Samsung Galaxy S9 phone to the most possible extent, it’s important to get a screen protector. 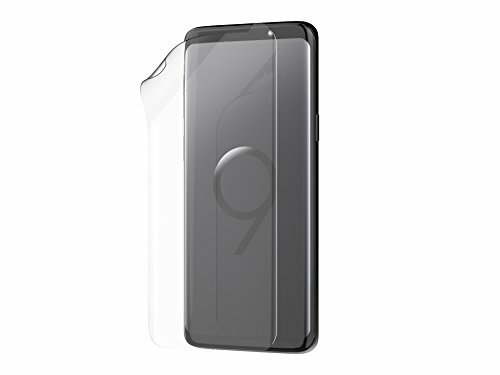 This screen protector should safeguard your S9 phone screen from scratches, dings, dirt, smudges, and even liquid. One of the best Android phones you can get right now is a Galaxy S9, and it’s extremely popular, so that’s the phone we’ll be focusing on today. Screen protectors vary in price range astronomically, so while you need one, it’s hard to decide if you should invest $8, or $88. To help you sift through the different products and prices, today we’re sharing what we think are the best 5 screen protectors for the Galaxy S9, whether your budget is small or you have more room to work with. This is another tempered glass screen protector, but it’s not nearly as expensive as the one by Incipio, coming in at just $12 from Amazon. If you’re thinking you want to try the tempered glass but not completely take the plunge to a high-end one right away, this one by amFilm is a fantastic option to “test the waters” per se. It’s also really easy to apply. This particular package will come with the screen protector, a microfiber cloth to guard against dust, installation tray, dust removal stickers, instructions, and more. 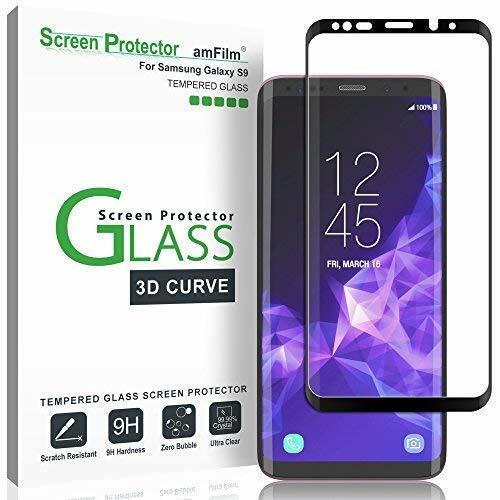 This is really awesome, because for just $12, you’ll be equipped with everything you need (and then some), to apply the tempered glass perfectly to your phone. When you hear the words “screen protector,” chances are you probably think of the sticky, thin plastic you apply to your phone screen, only to realize your screen still had a few dust particles even after cleaning it, that are now permanently adhered to your phone until further notice. While those are easily replaceable because they’re so cheap, it may be a hassle some people don’t want to bother with, and that’s where this awesome protector from Incipio comes in. 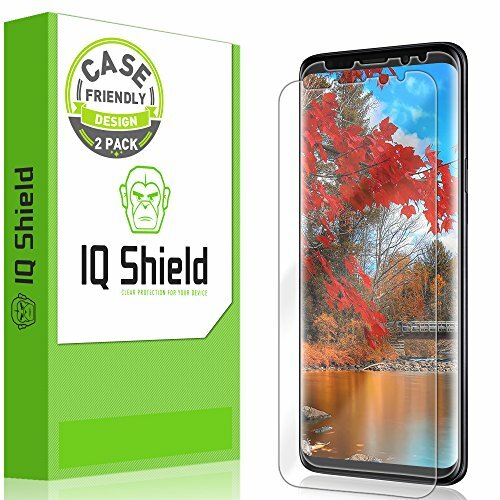 This protector is not sticky plastic, but actual tempered glass that clips on to your Galaxy S9. You can say goodbye to static, dust, and blurred pictures that some of the classic screen protectors tend to include. While this is a bit of an investment at $50, we think you’ll be pretty pleased with the resulting clarity and touch sensitivity. It also comes with a one-year warranty, so if anything goes wrong, you can get a replacement without trouble. 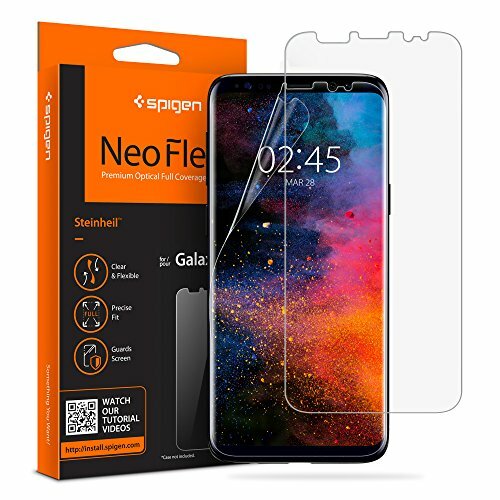 This screen protector by Spigen is one of the flexible, sticky screen protectors, but it’s one of the best you’re going to find on the market, and for the price, you just can’t beat it. We highly recommend this particular one because there is a lot of information on how to apply it to your device most efficiently, so you can be sure to get it right the first try. This screen protector has a wet application, so at first, you may not like how it looks. It’s typical that there may be what looks like smudging or a glare, but the key is that once it dries, those should go away and you’ll be left with a perfectly clear, precise screen protector designed to last for a long time. This is another great option for a flexible screen protector. To install, you’ll utilize their wet application process, similar to Spigen’s, but it has some different features, too. Because this is considered “Smart Film,” it will mold to your Galaxy S9 for the perfect fit. Not only that, but when it’s dropped or scratched, it has self-healing technologies designed for it to bounce back and maintain the quality it had when you first opened the package. One of the best parts is that even though this is extremely affordable (possibly the cheapest on this list), it comes with a lifetime replacement warranty, and a 100% satisfaction guarantee. So if you ever need to replace it, or decide you don’t like it, contact the company, and they’d be happy to work with you. This screen protector from tech 21 is amazing because of several reasons. First of all, it’s only 0.3mm thick, but it has 3 layers and a BulletShield layer, which is a material used in actual bullet-proof glass. As you can probably tell, Tech21 cut no corners with this screen protector, and it’s been thoroughly designed to protect your Galaxy S9 from just about anything that comes it’s way. The Tech21 Impact Shield is coated with a scratch-resistant finish, but you won’t have to worry about that affecting the picture. You images will be clearer than ever. It also comes with an application tool that will ensure you won’t need to keep re-applying your screen protector to get it perfect, as it does it right the first time. All of these are great screen protector options for your Galaxy S9, and we hope you love them just as much as we do. No matter which one you decide on, be sure to tell us all about it in the comments. And if you are looking for screen protector for Galaxy Note9, you can check them out in that link.